If you’re interested in personal finance and investing but are just diving into the world of FinTech (financial technology,) you may have heard about Robo Advisors. 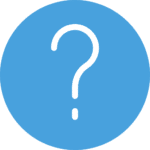 You’ll often hear the term thrown around in the same sentences as “automated investors” or “automated financial advisors.” You most likely landed on this page because you were searching for the answer to what these services are. So, what exactly are Robo Advisors? Robo Advisors use special algorithms to evaluate and manage your investments. These algorithms determine the best financial strategy for your account, and they operate efficiently and at a far lower cost than human financial advisors. Robo Advisors are generally restricted to the area of portfolio management and retirement planning. Even though they usually don’t handle cash-flow management or estate planning (with some exceptions), their services are quickly expanding. Many of them now offer college savings plans, 401(k) management, micro-investing, and more. Robo Advisors can radically change the effectiveness of your investment accounts. Back in the old days, this level of service was only available through a human financial advisor as part of a wider (and more expensive) bundle of services. Thanks to Robo Advisors, automated portfolio management is now available to a larger network of investors. They’re much cheaper, too. Are Robo Advisors Better than a Personal Financial Advisor? They open new doors to smaller investors, who could only get market guidance through traditional methods like hiring an expensive human advisor. Access to advanced investment techniques like tax loss harvesting even with a lower account balance. The automation means lower transaction fees, saving you money from the beginning. Low barrier of entry; many robo advisors have low or no minimum investment. Protects all investors from avoidable risks such as greed and conflict of interest. The exact workings of Robo Advisors will differ depending on the service that you choose. However, they generally operate on the same principles. Most of them offer an automated or hands-off approach to investing, whether you are starting small or if you have bigger amounts to invest. This is precisely why you should read our expert Robo Advisor reviews. We give in-depth reports on the best Robo Advisors in the industry so you can determine the best automated investment service for your financial needs and budget. After signing up and answering a few important questions, you then deposit or transfer the preferred investment amount. The robo advisor will then allocate your assets across a portfolio of investments based similar algorithms that traditional financial advisors often use themselves. Usually those investments consist of different low-cost stock and bond ETFs, and the individual allocations and selections will differ from one investor to another. However, asset allocation is just the tip of the iceberg, as they also provide many other account services which we cover on our reviews and other pages on this website. What do Robo Advisors Offer Investors? Robo Advisors generally provide a wide range of portfolio management services. Many of them can also provide automatic rebalancing, automatic dividend reinvestment and tax loss harvesting – features that used to only come with expensive financial planners. 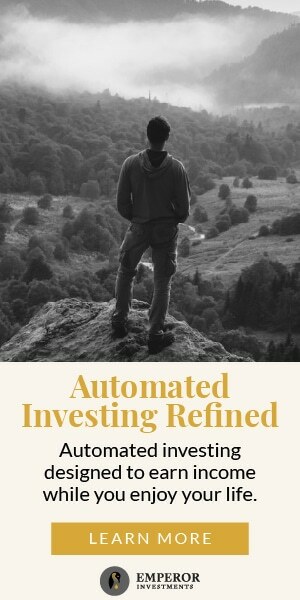 Automated portfolio rebalancing is when a Robo Advisor automatically adjusts the allocation of assets within an investor’s portfolio to maximize returns. Usually this changes monthly based on the path of the investor due to their age, budget, asset allocation, or financial goals. Learn more about automatic portfolio rebalancing here. Dividend reinvestment is when the service recognizes the pay-out of a dividend, assesses the best way to reinvest that money and then goes ahead and does so without any outside interference. This helps keep your portfolio from holding too much cash, which earns at a near-zero rate. Tax loss harvesting is a slightly more complicated feature. In simple terms, it is the process in which the Robo Advisor chooses the optimal time to sell a security which has experienced a loss. This is to offset taxes on other gains and profits. Learn more about tax loss harvesting here. The answer is not a lot when compared to what a human advisor can cost. The actual figure depends on which robo advisor you choose, of course, but on average you should expect a robo advisor to cost between 0.25% and 0.50% of your account balance annually. Some even offer a free service, no strings attached! While some only charge fees after reaching a certain balance (typically $5,000 or $10,000). You can find an analysis of our favorite robo advisors with the lowest fees here. And that’s just with 1% fees; some financial advisors charge much more. With 0% fee you get more and can invest more! 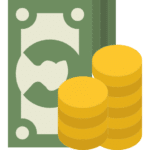 The cost of an automated investing service generally comes in the form of management fees, which are either charged as monthly fee or as a percentage, based on the account balance. According to Bloomberg, traditional brokerage firms such as Morgan Stanley, Bank of America and Wells Fargo are under pressure to justify the high fees they charge investors. Even they are scrambling to develop automated investment tools for their customers. Robo Advisors handled many more portfolios in the year 2015 than in 2012, representing a 210% rise amounting to over $50 billion in investments. And that growth is not showing any signs of slowing down. Robo Advisors are growing fast, and we are dedicated to providing you with comprehensive and expert reviews and guides to the best Robo Advisors online. NextWhat is Tax Loss Harvesting?